Some of the ways in which Gov. 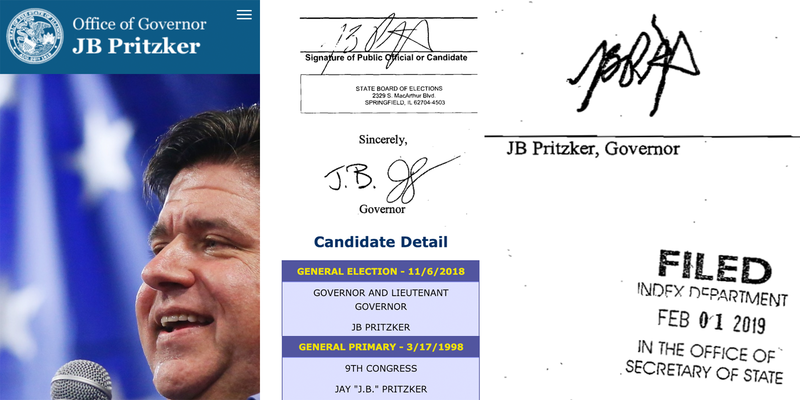 J.B. Pritzker's name has appeared on official state documents and web sites. Everything is from the last two years except the congressional candidate filing from 1998 (bottom center). Gov. Bruce Rauner's prescription for Illinois’ finances will finally be made known on Wednesday, when he gives his budget address. Legislators, state employees and social service agencies will no doubt pay close attention to what Rauner has to say. But after another big speech earlier this month made many go "gee," observers will also be listening for how he says it.